Struggling to down Glu's deadly dragons? We'll help you fight back. 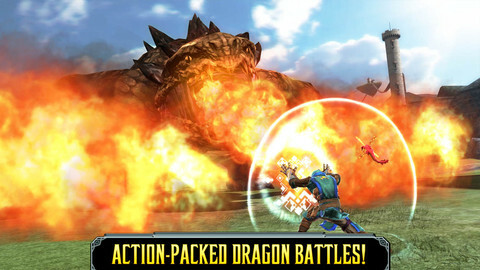 Glu Mobile's epic combat game Dragon Slayer is out now for iOS and Android devices. We published our review earlier this morning, and praised the game for its fantastic artwork, well-designed monsters, and character upgrade opportunities. If you're struggling to take down the terrible tyrants of Dragon Slayer, take a look through our hints and tips to give your combat the killing edge. How do the elemental bonuses work in Dragon Slayer? Each dragon is weak against a particular type of magical element. You can see which one applies at the start of each fight when you select your equipment and potions. Always make sure to equip your warrior with the correct armor and weapon, so you can deliver the maximum amount of damage when it's your turn to fight. How do I dodge an attack in Dragon Slayer? Each dragon has its own set of attacking patterns. Most of these repeat over time, so pay close attention to the order in which left and right assaults take place. Generally speaking, the creature will alternate between the two approaches but it's not guaranteed. Why did I still take damage when I dodged an attack? You can't dart out of the way of every single attack during combat. For certain assaults, you have no choice but to use your blocking ability. Note that you only get a few uses of this before it has to refill, so use this ability wisely, and only when you really need it. How can I survive longer in Dragon Slayer? Apart from avoiding attacks entirely by dodging, you can do a few things to increase your survival rate in the game. First of all, make sure you keep your armor upgraded as and when you have the cash available. Having more health is always useful, and being able to dish out more damage means the fight is over more quickly. Don't forget to use your health potions either. Tap on the icon on the left-hand side of the screen to chug down a quick health boost! If you've got a potion to boost your block meter, that can also save you from an embarrassing defeat. 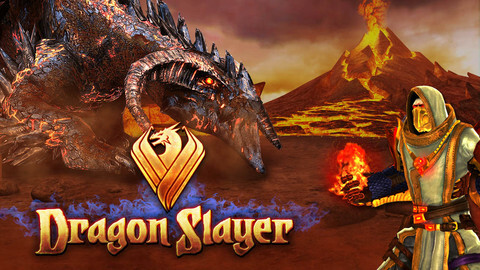 Which stats should I level up in Dragon Slayer? If you're really struggling in a particular area of Attack, Shield or Health pour some extra points into the appropriate skill tree. As a general rule, it's sensible to level these up equally as you make your way through the game, but it's OK to divert from this a little if you've really hit a brick wall. How do I stun enemies in Dragon Slayer? If you manage to successfully dodge or block the final attack of a dragon's assault combo, you'll see a rune shape appear on the screen. 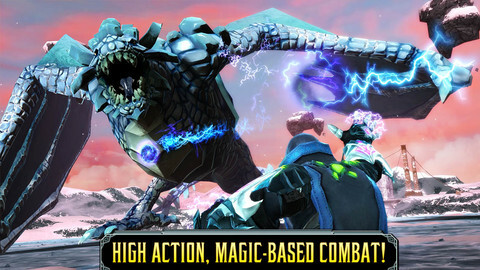 Trace over this with your finger as quickly as possible, and it will deliver a vicious stun to the beast. Once its been struck down, swipe as furiously as possible to take it down. What's the best way to swipe attack in the game? 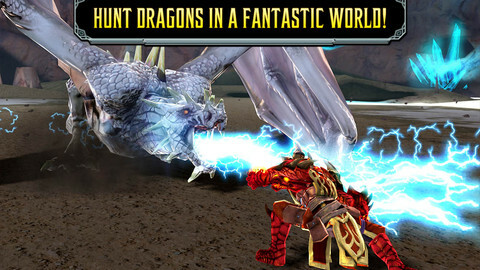 Don't let your experience of the Infinity Blade games influence your tactics in Dragon Slayer. The combat here is much simpler, and swiping in one direction has the same effect as multi-directional swipes. Make very small, flicking swipes on the screen to rack up a huge damage score and unlock the deadly combo move. How do special attacks work in Dragon Slayer? 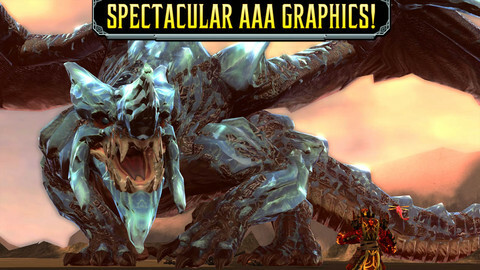 You'll occasionally be rewarded with special crystals that allow you to inflict a huge amount of damage against a beast. To activate them, hit the purple gem icon at the bottom of the screen. This will interrupt any attack the dragon is making and stun them too, leaving you free to furiously swipe at the beast and finish it off. How do skill points work in Dragon Slayer? Each time you level up, you'll be rewarded with a skill point which you can spend in the character screen to enhance your stats. The three categories of advancement are Attack, Shield and Health. If you want to get your hands on more skill points, you'll either have to level up further or buy some from the cash store. What should I do if I can't kill a dragon in Dragon Slayer? If you still can't take a dragon down after repeated attempts, it might be worth going back to an earlier mission to grind through the content for some additional XP and currency. Once you've leveled up a little bit more, and purchased some new armor, you'll likely find your nemesis much easier to take down.